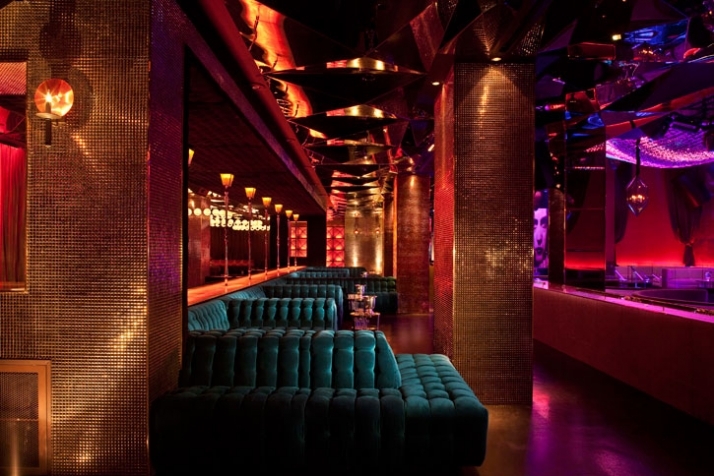 A successful design concept for a night club in Las Vegas consists of artistic colored lighting, finishes that are vibrant and surfaces that are dynamic and themed. 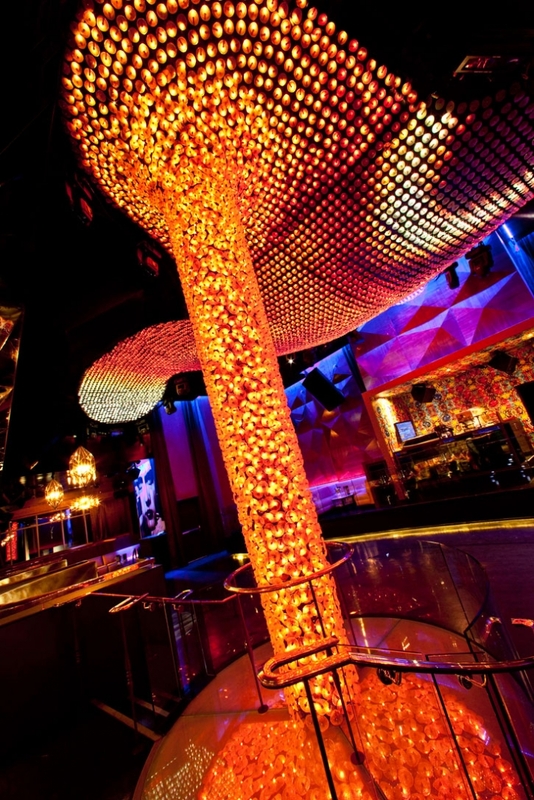 All these features are apparent in the much talked about Vanity Club which is hosted in the Hard Rock Hotel and Casino, Las Vegas (Morgans Hotel Group). The designers ‘Mr. 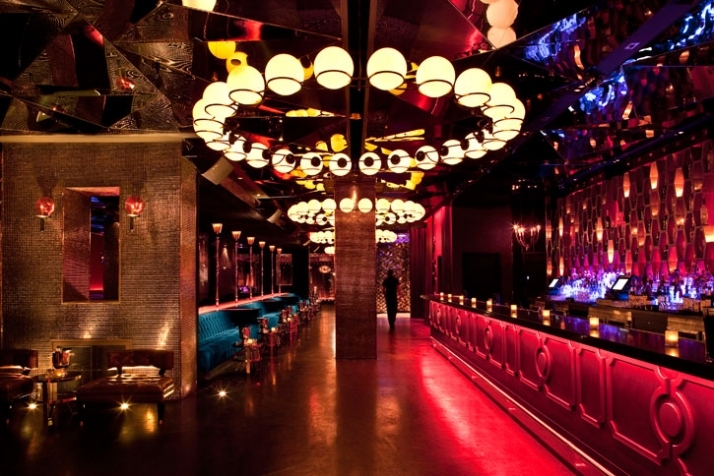 Important Design’ are not newcomers in nightclub design. 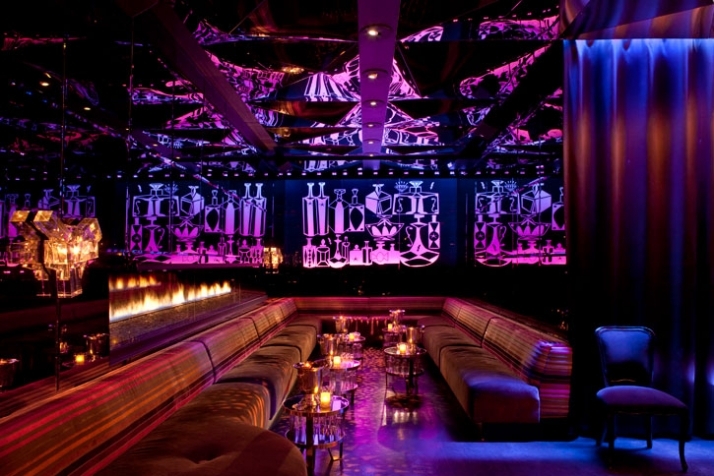 They are responsible for Dolce Social Lounge and Blush together with successful retailers such as Nike and Levis. 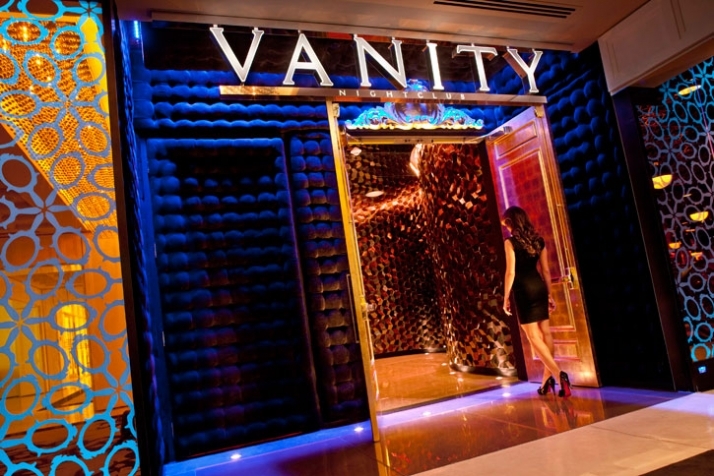 The Vanity Club is all Vegas. Textures, paneling and motives are apparent throughout the interior giving every aspect of it a particular style finish. 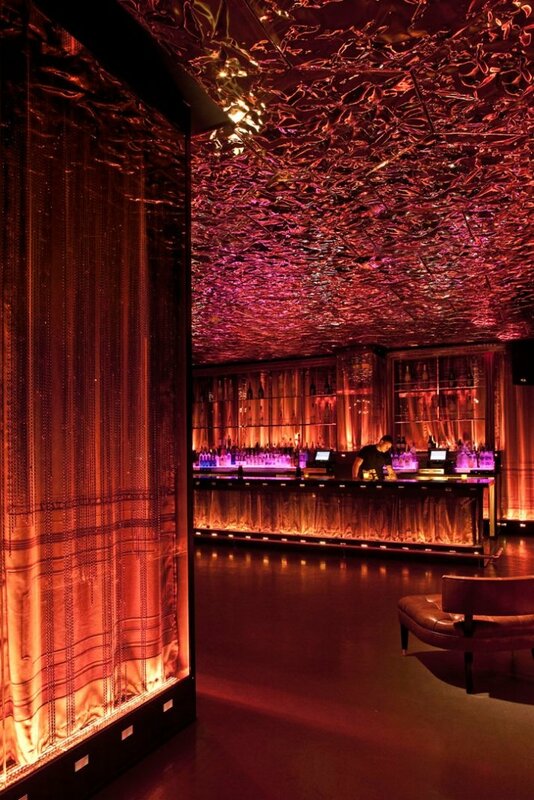 Entering the club you walk through a swirled corridor of honeycombed textural wall finish, which brings you to the nightclub seen right there and then. 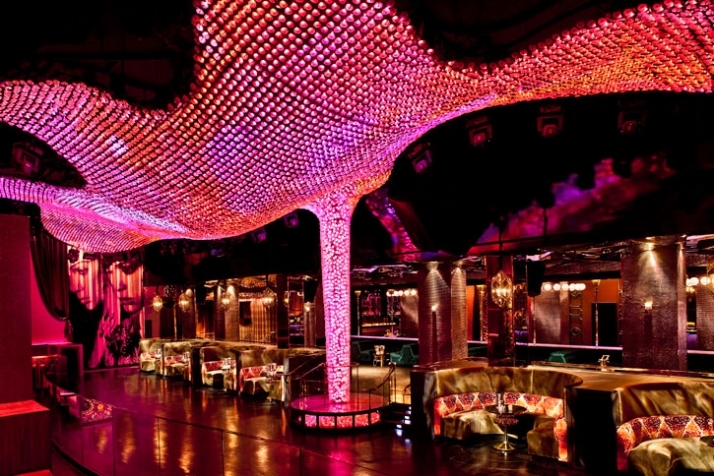 The main feature of the space is the light and crystal feature which is circulated around a cyclone that rises 20’ out of the dance floor and spreads out in all directions above the dance floor. This vortex of glass and light comprised of 20,000 pieces of crystal covers 1200 sq ft and hovers over the dance floor like a cloud. 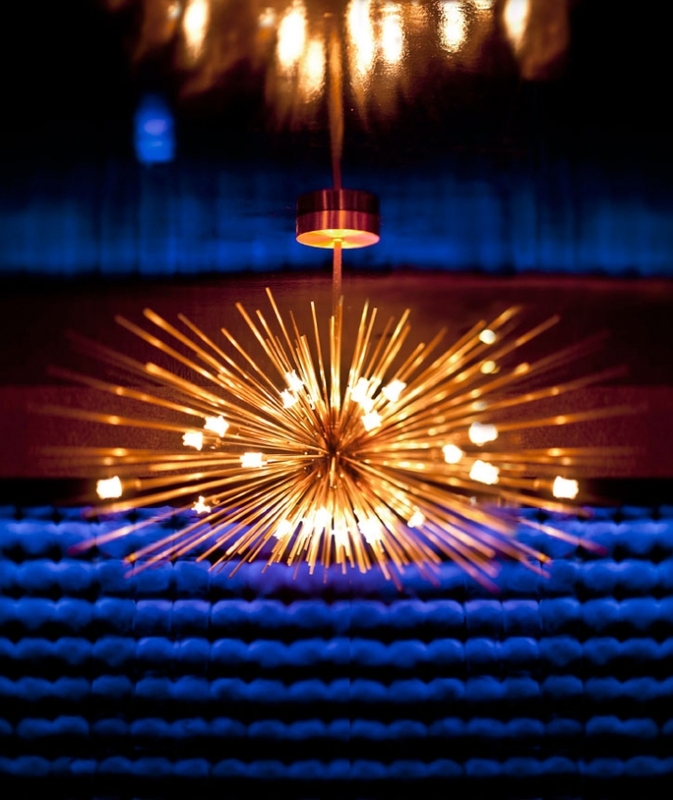 All the light fixtures are dynamic and luminous giving a strong character to the interior. 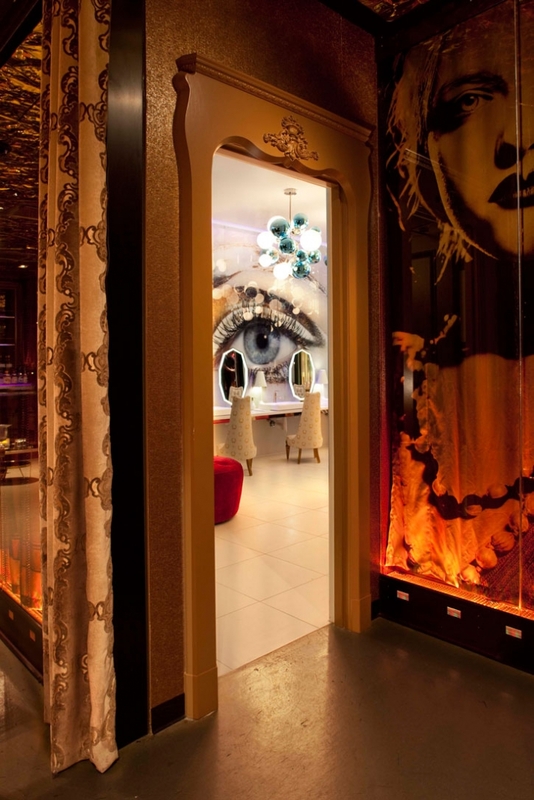 The designers concept is jewellery box hence the fragile and glitzy finishes. 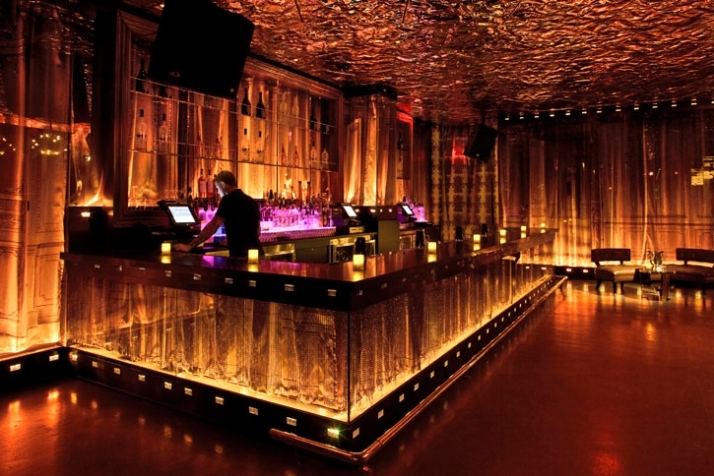 The overall space consists of sparkling mosaic tiles on walls with textural ceilings and design panelling on the bar. It is busy with different finishes next to each other creating the illusion of different spaces within a space. 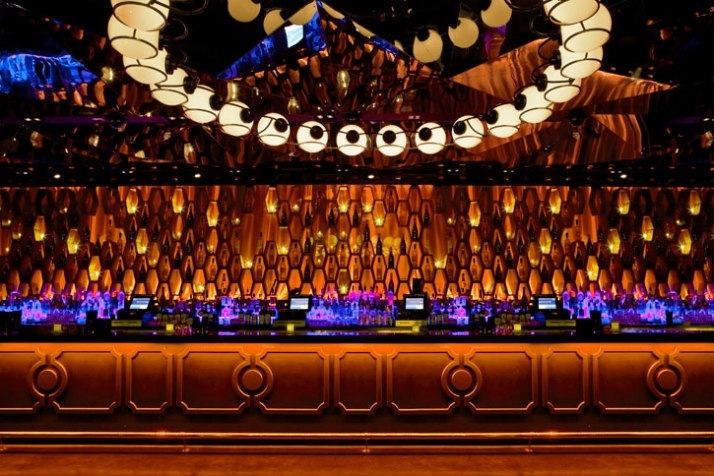 The honeycombed idea pattern is also present behind-d the bar bringing a point of reference to the entrance corridor. 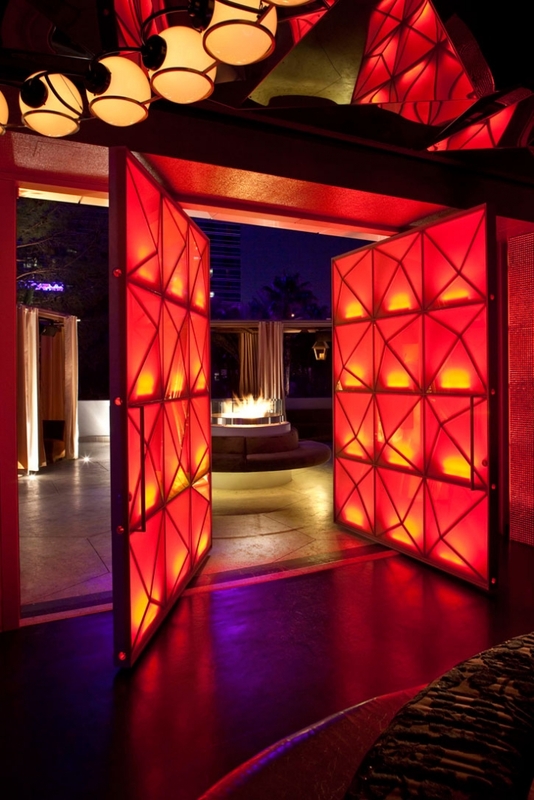 One of the most dramatic aspects of the club is the back lit pivot doors which open up to the atmospheric lounge exterior. The outdoor space is inviting and theatrical with the circular fire place providing seating all around with great views. The upholstery is neutral creating a contrast to the interior. 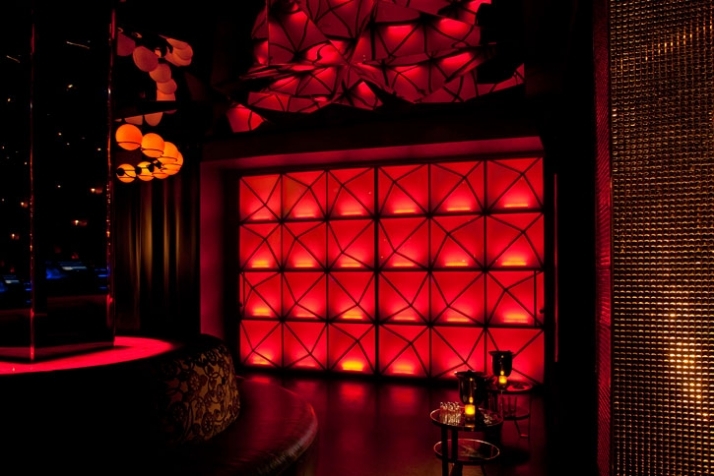 In general the fabrics play an important role to the clubby/vibrant feel of the space. 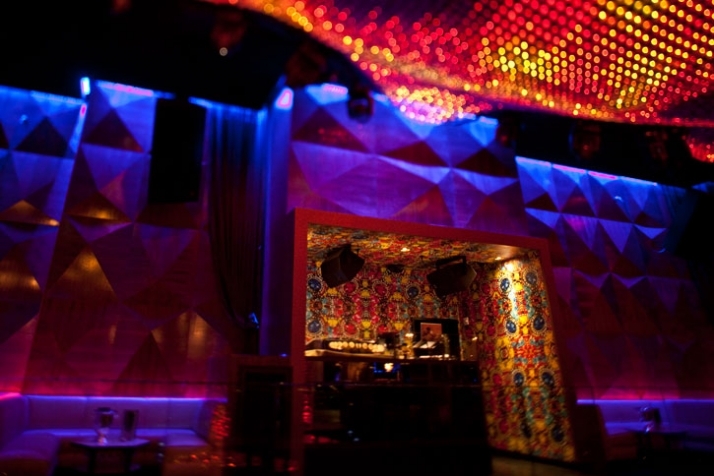 Bright, patterned and loud they give the outgoing party feel to the interior. 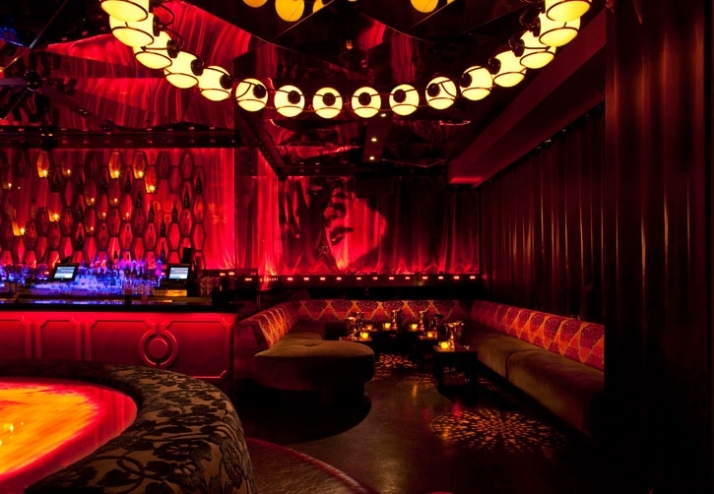 There are many corners and seating spaces around the club which create this aspect of space within a space. An item which brings all the features together is the artwork from Yelena Yemchuk whose brooding shots of women could have been made in the1940’s. 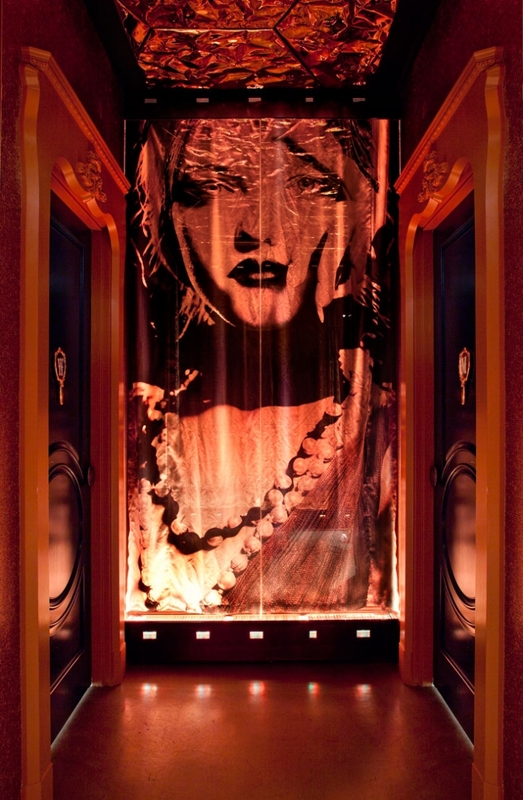 Another vibrant art concept is present in the truly jewel bathrooms. These concepts which feature full height walls of laminated glass are the works of fashion photographer Miles Aldridge. One side has his gold eye and the opposite his lips dripping gold. 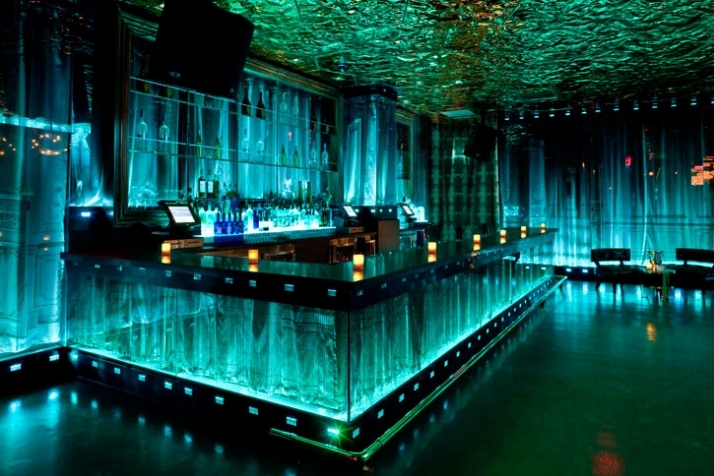 Between the two is a cloud of 8 multiple armed sputniks with aqua mirrored glass balls and lit white ones. 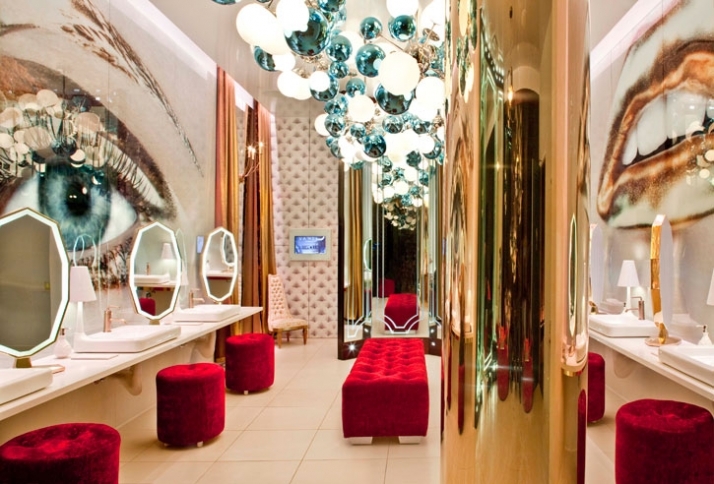 The vanities feature sinks from Jaime Hayon, large individual lit make up mirrors, soft raspberry colored chenille poufs for each sink area and stunning "Digit chandeliers" by Emmanuel Babled studio. Two sets of 3-way floor to ceiling mirrors add to the complexity and luxury of the space. 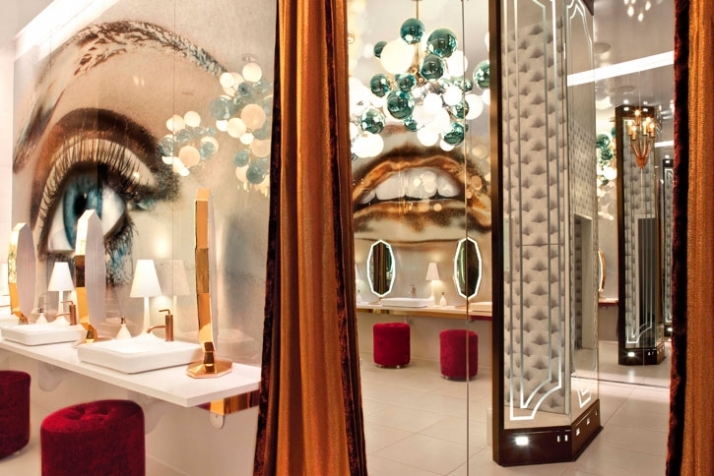 The rear area of the lounge contains the bathroom stalls which are “tufted” in a printed graphic for a surreal effect. 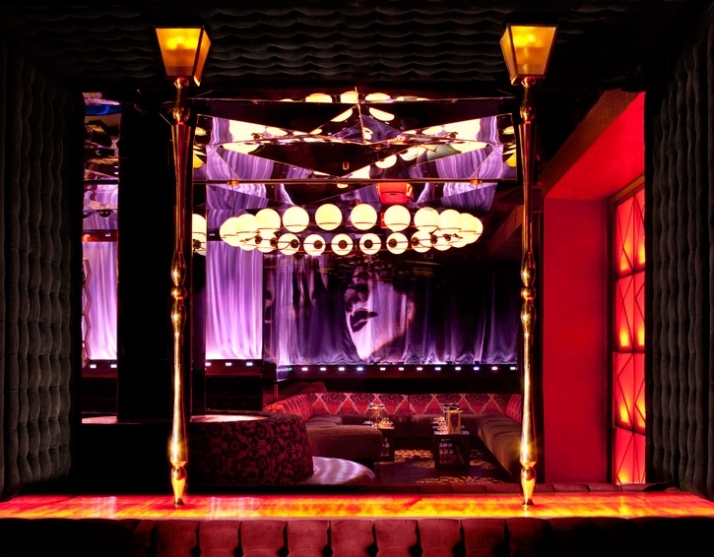 Through the tufted upholsteries, the majestic light fixtures and the textured wall panelling this club offers a Vegas Glam which one expects when in Vegas. 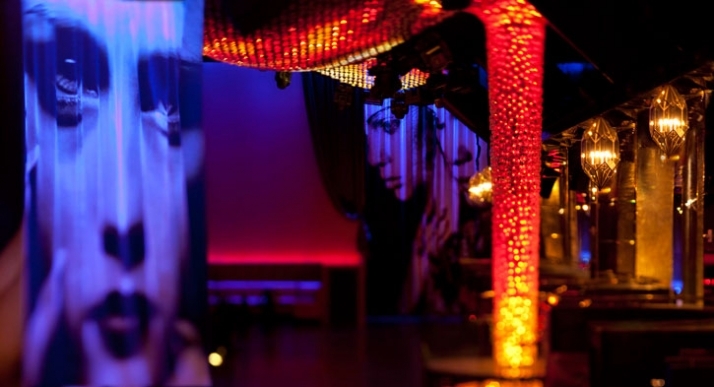 The glitz and the glamour is present throughout the interiors which guarantees you a good time, after all you need to design as Vegas would. "Vanity is a sensualists playground of controlled chaos, precisely like the jewel box fantasies that fuel it."